Public Health England is urging people to check they are properly vaccinated. 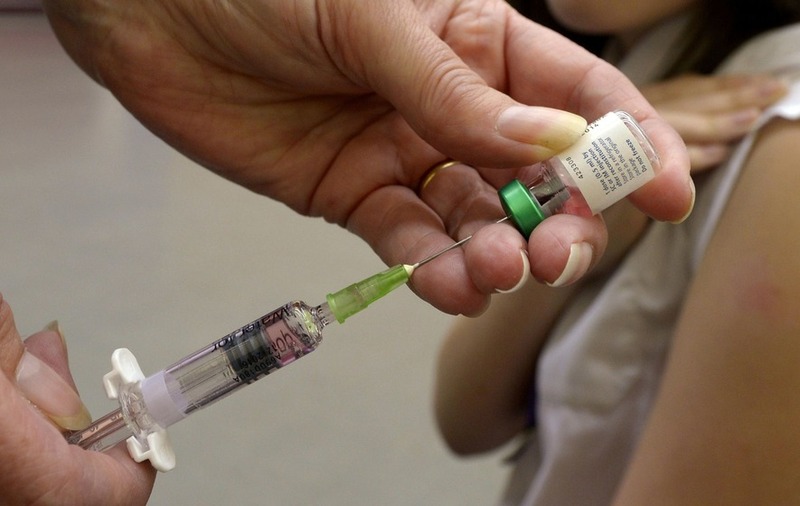 Outbreaks of measles have been confirmed across England, health officials have said. More than 400 cases have been identified this year, linked to “ongoing large outbreaks in Europe”, according to Public Health England (PHE). PHE is urging people to check they are properly vaccinated against the highly infectious viral illness, which can be fatal. Anyone who has not received two doses of the MMR vaccine is at risk, while young people mixing in close proximity, for example at festivals, are more vulnerable. Between January 1 and May 9, there have been 440 laboratory-confirmed cases of measles in England. The total number is already higher than 2017, when there were 267 confirmed cases in England. In 2016, there were 531 confirmed cases. There are currently large outbreaks in Romania and Italy and those travelling to these countries should check health advice beforehand. Dr Ramsay said: “Anyone who missed out on their MMR vaccine in the past or are unsure if they had two doses should contact their GP practice to catch up. “This serves as an important reminder for parents to take up the offer of MMR vaccination for their children at one year of age and as a pre-school booster at three years and four months of age. Of the laboratory confirmed cases, 164 were in London, 86 in the South East, 78 in the West Midlands, 42 in the South West and 37 in West Yorkshire. At the end of March, PHE said there had been 168 laboratory confirmed cases of measles to date. The World Health Organisation declared the UK had eliminated measles for the first time last year. This meant the UK had reduced the number of cases to a low enough level to stop it spreading through the population for at least three years.